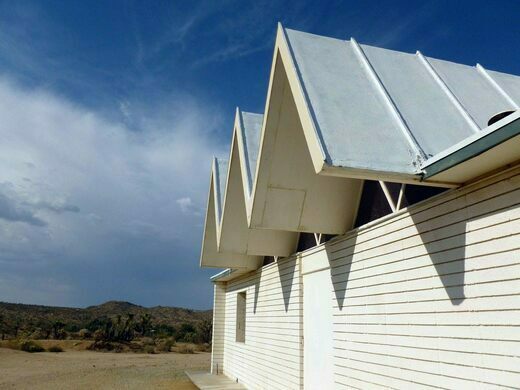 Located on 420 acres in the high desert, this spiritual center is dedicated to the "science of the future." 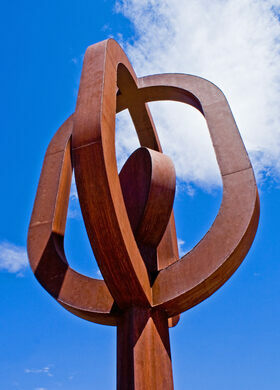 Explore 10 acres of environmental sculptures. An eclectic trailer park retreat in the middle of the California desert. Mentalphysics was pioneered by Ding Le Mei in 1927. Born as Edward John Dingle, Ding Le Mei was a British journalist who spent 21 years living and studying in Asia, primarily Tibet. During that time, he was one of the first Westerners to study under a Tibetan Lama Master, and he used his experience to fuse the similarities between Eastern and Western religious philosophies into his own new creation. 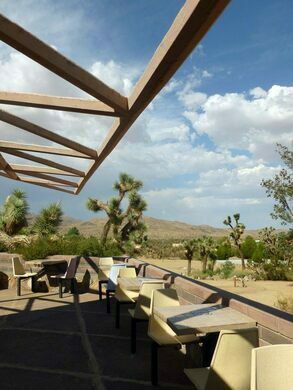 The Institute itself is located on 420-plus acres in the Mojave Desert. It features the largest collection of buildings designed by Lloyd Wright and includes titles such as the Preceptory of Light, the First Sanctuary of Mystic Christianity, and the 700-foot-long Caravansary of Joy. Since its opening, roughly 225,000 students from around the world have enrolled to learn Ding Le Mei’s teachings. 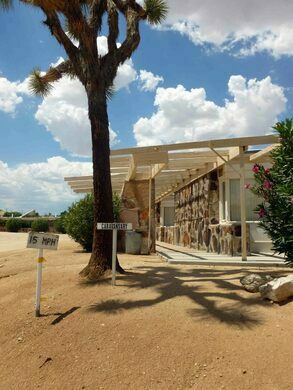 Today, the Institute of Mentalphysics, also known as the Joshua Tree Retreat Center, features a variety of workshops dedicated to spiritual awareness and healing. Visitors can plan an overnight retreat, walk the Medicine Wheel, or experience the 15 “holy” spiral-shaped stone paths. Known as vortices, these structures are said to channel the site’s “natural energy” and help visitors find clarity–for a fee, of course. Contact 760-365-8371 to schedule a retreat. The quirky salon doubles as a retro museum run by the world's leading "hairstorian."